He is also one of our technicians and has worked at David Dexters for nearly two years. Chris likes to be under the bonnet of a car and as well as being a great source of information and advice to all of our customers he specialises in MOTs and servicing. He started out in the industry with an apprenticeship at Leyland DAF trucks before moving to Shropshire 12 years ago. When our technicians service a car they follow the manufacturer’s service schedule – which is important for cars under warranty as well as the Bosch car service schedule. 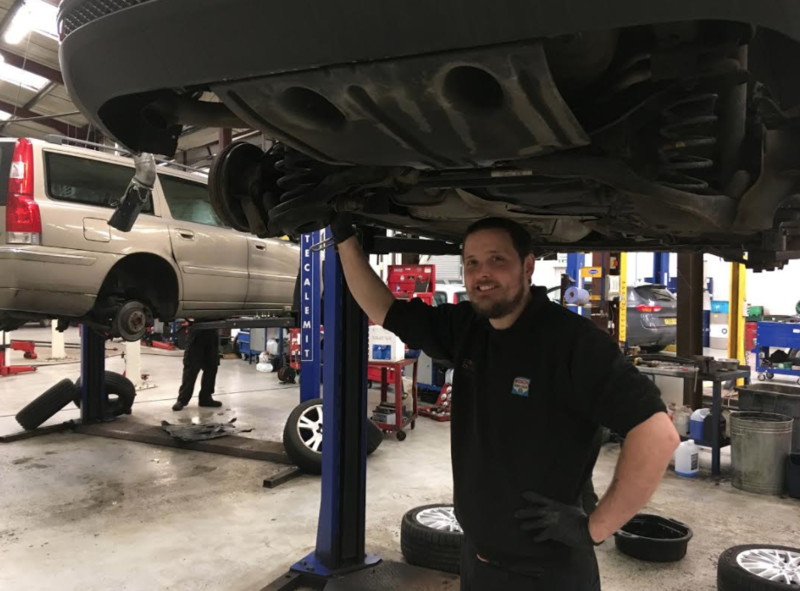 As even our most basic service covers 31 checks, including an oil and filter change and a general health check of the main components on a customer’s car, it means Chris get plenty of time to work with the mechanics of the vehicles that come in.